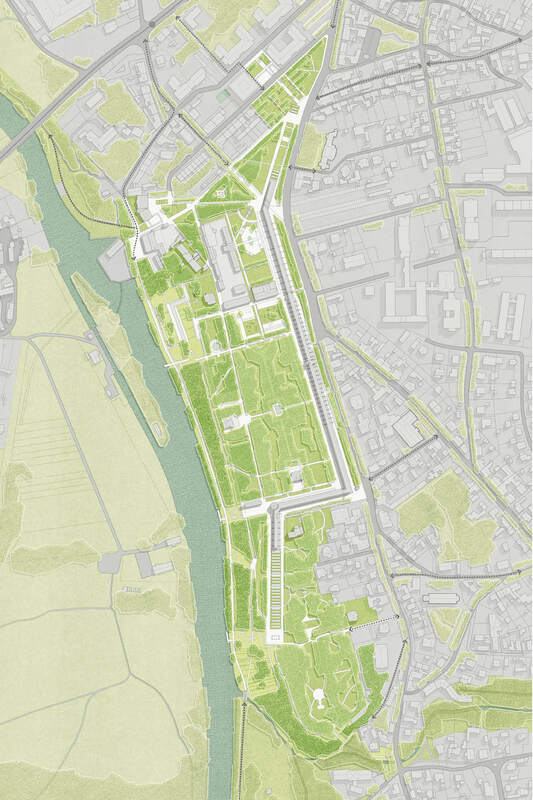 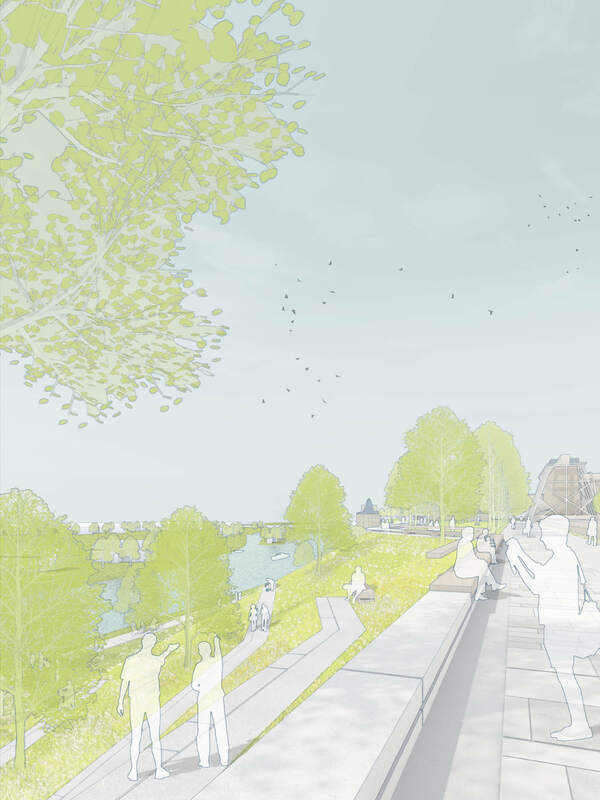 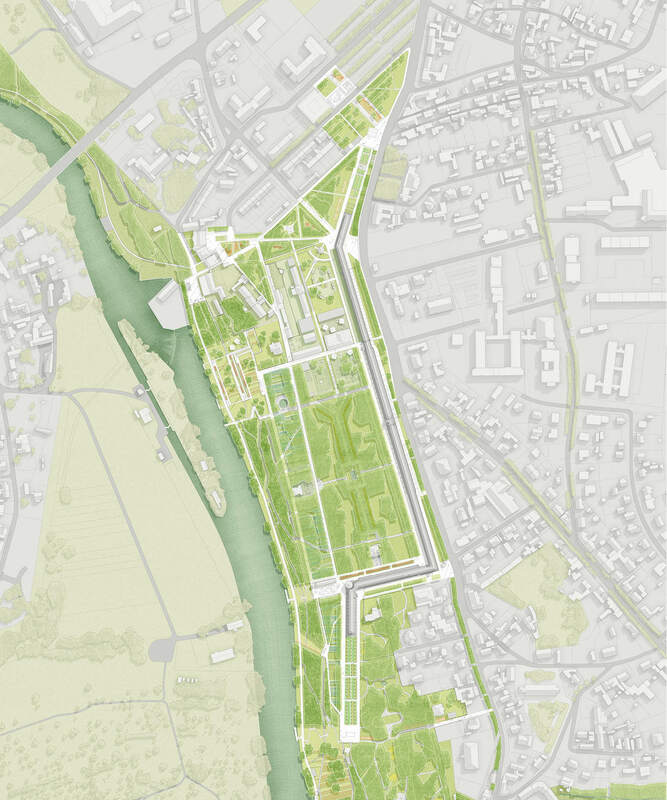 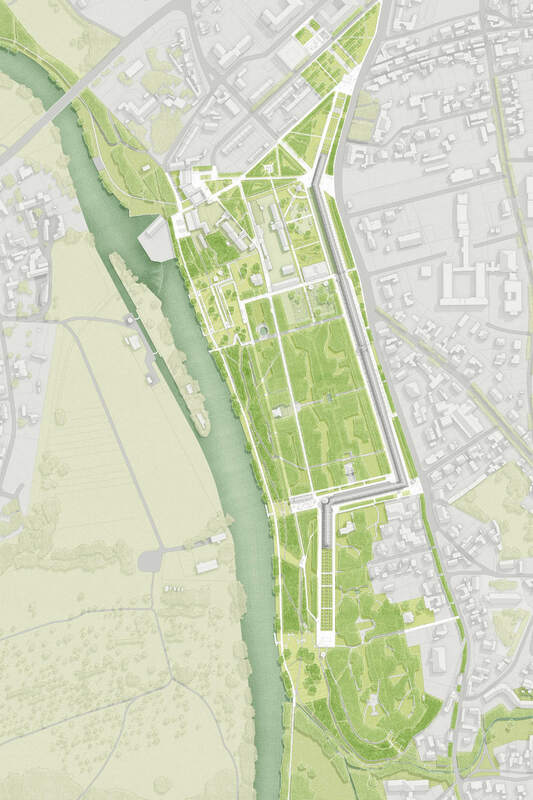 Landscape window: Different views to the adjacent landscapes and the Saale shore will be integrated into the park. 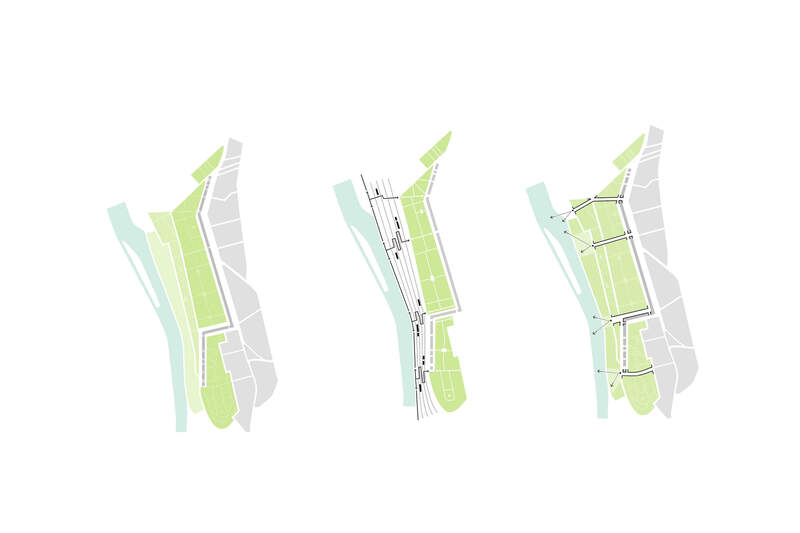 Park on a slope: The slope is developed as a special space with its own sojourn quality. 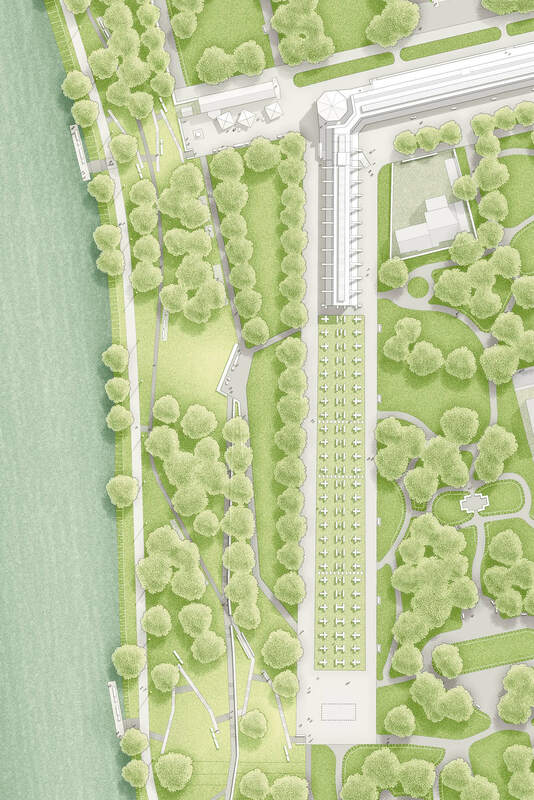 Opening and Entrée: A new entry-plaza connects parc and city. 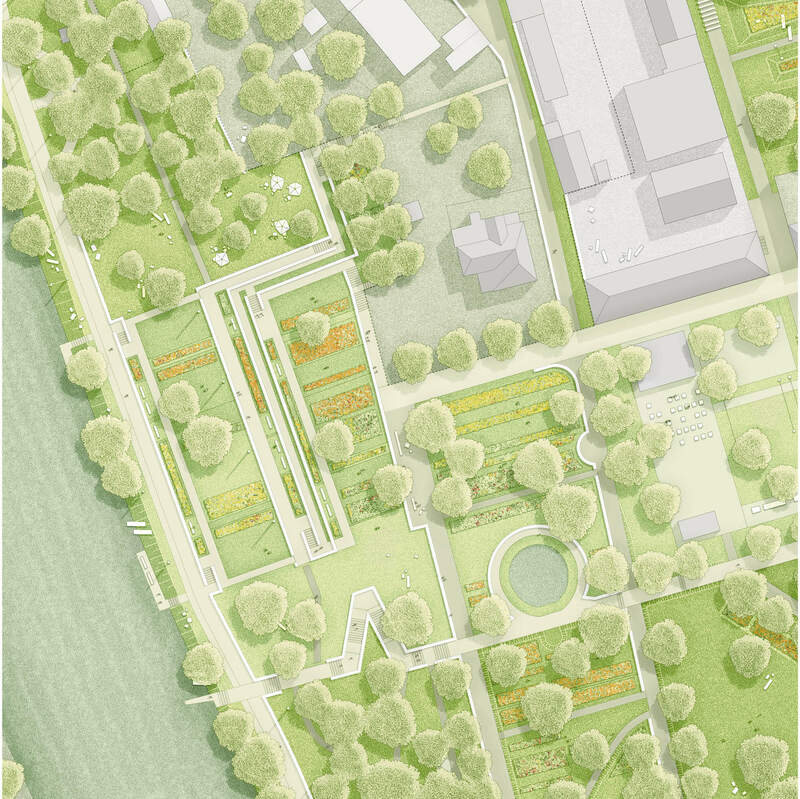 Park segments: In addition, a series of careful interventions are provided to improve the experience of the different park segments.